Hyssop is a strong-flavoured aromatic herb similar to rosemary or lavender which is enjoying a revival with home gardeners. It is an ideal plant for use in containers or as a low hedge or border within the herb garden, it makes an excellent and more unusual alternative to box and can be clipped to shape in the same way in spring. In cooking, use the same way you would Rosemary. It should be used sparingly as the flavour is very strong. Young leaves can be used chopped and scattered on salads, sprinkled on meat or oily fish dishes or used to flavour soups, stews and fruit dishes. Tea is brewed using the green tops of the plant. The infusion has an agreeable flavour and is said to help aid digestion of fatty or rich food. It is also excellent for chesty coughs. Externally it can be applied to bruises, to reduce the swelling and discolouration. The essential oil is an antiseptic. Hyssop is also used as an ingredient in Eau de Cologne, and in the distillation of liqueurs, such as Chartreuse. It is widely used as a 'taste enhancing' herb in Absinthe, along with Wormwood, Fennel, and Anise. Hyssop plants are a dark, vibrant green with a spiky, upright habit and narrow tongue-like leaves that have a peppery scent when stroked. Hyssopus officianalis var. caerulea, known as 'Blue' Hyssop sports vibrant, blue flowers (some varieties produce pink or white flowers) from July to October. It famously attracts bees, hover-flies and butterflies, and is a must for any wildflower garden. 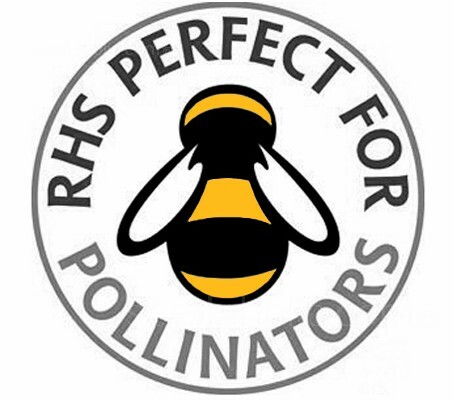 The plants make excellent honey, some beekeepers rub the hive with it to encourage the bees to keep to their home. The plants are easy to grow and succeed best in a warm aspect and in a light, rather dry soil. The plants benefit from pruning occasionally, but do not need much further attention. Sow in separate 7cm (3in) pots containing well drained soil, just beneath the surface of the soil, cover with a light covering, 5mm (1/4in) or so, of compost. The seeds will germinate in 14 to 21 days. Once the plants are growing healthily in their pots, transplant them outdoors after the last frosts. Set the plants 30 to 45cm (12 to 18in) apart and keep well watered until established. Sow in drills, then thin the plants to 45cm (18in) spacing. Keep well watered till established. Prior to planting work in plenty of organic matter, such as compost, or aged animal manure. It is also helpful to add a light application of organic fertiliser to the planting hole. Hyssop grows equally well in containers. Hyssop loves hot, strong sunlight and plenty of it, plant in a position with full sun and with well drained soil and place them 30 to 45cm (12 to 18in) apart. Pruning to the first set of leaves after flowering will create a more compact plant and better flowering in the following year. The plants grow to a height of around 50 to 60cm (24 to 28in) and about half as wide. They benefit from occasional clipping to keep them compact especially if used as a low hedge or border within the herb garden. Use the youngest leaves and stems as needed. Cut in the morning after the dew has dried for optimal flavour. Do not wash the leaves or aromatic oils will be lost. Hyssop is best used fresh but can also be stored frozen in plastic bags or dried. To dry, tie the cuttings in small bunches and hang upside down in a well-ventilated, dark room. Hyssop leaves should dry out in about six days, any longer and they will begin to discolour and lose their flavour. The dried leaves are stored in clean, dry, labelled airtight containers, and will keep for 12 to 18 months. When dried, remove the leaves from the stems and store whole. Crush or grind just before use. Hyssop is a good companion plant to cabbage, partly because it will lure away the Cabbage White butterfly, and according to Dorothy Hall (The Book Of Herbs, Pan 1972) has also "been found to improve the yield from grapevines if planted along the rows, particularly if the terrain is rocky or sandy, and the soil is not as easy to work as it might be". However hyssop is said to be antagonistic to radishes, and they should not be grown nearby. It is not as invasive as other members of the mint family making it safer for interplanting. 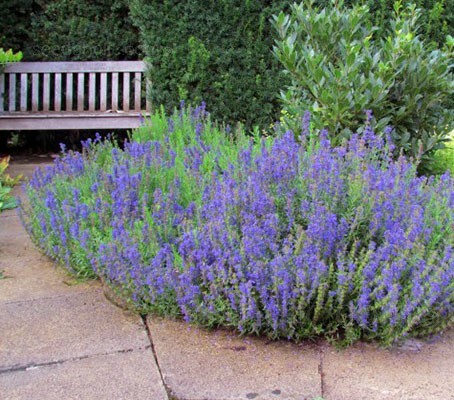 Hyssop is a short-lived plant, and will need to be replaced every few years. To harvest your own seeds, after flowering let the seed pods brown and dry out completely. Cut the stems from the plant and place in a brown paper bag. As the pods become fully dry the seeds will fall from the pods. Hang the paper bag in a warm area but out of direct sunlight. After a week or two, all the seeds will be in the paper bag. Remove the stems and larger pieces of chaff, label and date the bag and store in a cool, dark place over the winter months. Hyssopus officinalis is a genus of herbaceous or semi-woody plants in the family Lamiaceae, native from the east Mediterranean to central Asia as far east as Mongolia. By far the best-known species is the Herb Hyssop which is widely cultivated outside its native area in the Mediterranean. Note that anise hyssop, Agastache foeniculum, also called blue giant hyssop, is a very different plant and not a close relation, although both are in the mint family. Anise hyssop is native to much of north-central and northern North America. Verify that you have the right plant before you use it in your recipes and other preparations. 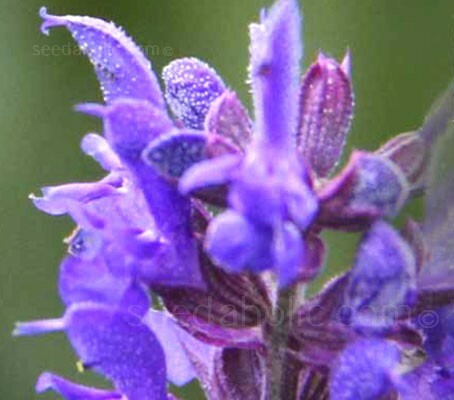 The name hyssop can be traced back almost unchanged through the Greek hyssopos and Hebrew esob meaning 'holy herb.' It is uncertain that Hyssopus officinalis is the same 'hyssop' referred to in the scriptures 'Purge me with hyssop, and I shall be clean; wash me, and I shall be whiter than snow.' (Psalm 51:7), however it was once regarded as a symbol of purification and as such was used in the ritual cleansing of churches, it was often planted in monastery gardens and was used in religious painting to symbolise humility. Because of its bushy nature it was often used as a hedge in herb gardens and even in mazes. In the seventeenth century, it was used as a strewing herb in sick rooms, to deter the spread of infection and to cleanse lepers, as noted in the scriptures. For centuries it was used as a medicinal herb against coughs and catarrh. And it was part of an old English country remedy for cuts and wounds suffered working in the fields where a poultice of bruised hyssop leaves and sugar was used in order to reduce the risk of tetanus infection. Where Hyssop was at one time official in some pharmacopoeias of Europe it is now grown mostly as an ornamental shrub.